Ashcombe was the most beautiful house Saskia had ever seen as a little girl. A rambling cottage on the edge of a Suffolk village, it provided a perfect sanctuary to hide from the tragedy which shattered her childhood. Now an adult, Saskia is still living at Ashcombe and as a book restorer devotes her days tending to broken and battered books, daydreaming about the people who had once turned their pages. When she discovers a hidden notebook - and realises someone has gone to a great deal of trouble to hide a story of their own - Saskia finds herself drawn into a heart-rending tale of wartime love. 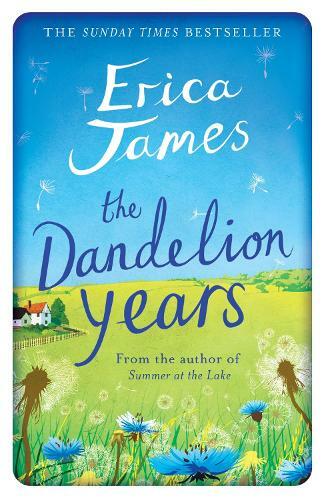 The Dandelion Years was the second book I've read by Erica James, and it was not a dissapointment.